But if the tutorial is on the older side, commenters might not be active. There’s another way. It’s called live streaming. Enter: Twitch. Twitch is a great way to watch game developers live-stream their process. Some Twitch broadcasters will stream their entire process–brainstorming, deliberation, mistake-making, everything. Other streamers will have a more curated channel, meaning they’ll be more selective with what they broadcast. Regardless of which style you prefer, one of the best parts about Twitch game development channels is that you can interact with the developers while they stream. You get insight into the minds of a Twitch game developer’s thought process. Talk about powerful learning tool. 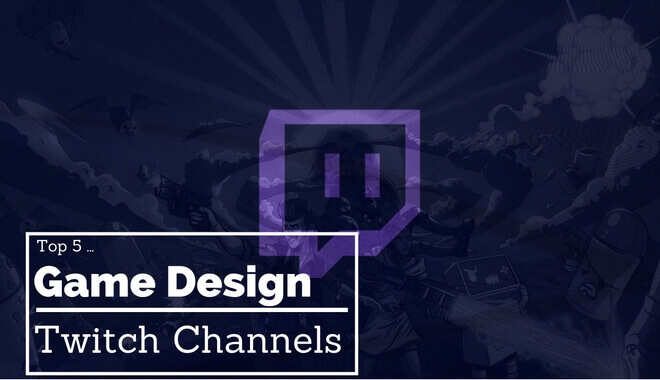 As billionaire, Warren Buffett says “you only learn from mistakes, but they don’t have to be your mistakes.” Let’s take a look at five of the top Twitch channels for learning game development, based on elements like audience engagement, quality of development content, and entertainment level. Lachhh is a pretty funny guy. Before you go running over to check out his Twitch channel we have to warn you: his content is for a mature audience. He’s not afraid to be fresh. If you’re on the younger side or you prefer cleaner language and PG jokes, keep scrolling. There’s plenty of that below! Lachhh will keep you engaged, even if it’s just with his endearing accent. He has strong Twitch audience engagement, especially when it comes to game-related questions. He has a number of loyal fans in his chat, and they aren’t afraid to ask “why”. He’s worked on games like Zombidle. One of his past episodes (if you aren’t familiar with Twitch, past broadcasts are archived and you can watch even when the streamer isn’t broadcasting live, you lose the participation element but it’s still valuable). He tried to demonstrate a new tool he coded. When he went to use the new tool… it didn’t work! So you get to watch him puzzle through the issue and troubleshoot his new tool. He ended up fixing it, explaining his process mostly out loud. Rob the Swan is hard at work on a C++ Blocky World Game. The game is called Diorama. It’s a game with a vision for an expansively customizable experience. There are free modes available to play right now. You can actually play the game in its current state, and then see how his streamed coding makes a difference in your gaming experience as he releases newer versions of the game. The current functionality is pretty limited compared to Rob The Swan’s final vision, so you have plenty of time to catch up on his development thus far, and plenty of time to watch more of the game unfold. This is a cool opportunity to see how decisions that sound good can lead to some unexpected failure, or how a happy accident can lead to unexpected fun. P.S. He also includes the occasional catcam. So…if you really like cats… Rob the Swan is probably your Twitch man. Jesse Freeman is developing a game called Dragon Sweeper, which will eventually be submitted to the Amazon app Store. Jesse doesn’t waste a lot of time on shooting the breeze–he’s focused. His twitch channel is very game development oriented. He speaks clearly about his actions and his motivations for those actions. He lets you in on his process. If you haven’t got the time for time wasting, give Jesse Freeman a shot! For 8 hours a day during the week, he live-streams his efforts towards developing the game. You see his entire process. He engages with the chat room a bit, as people offer him tips when he hits a snag, or to explain one of his coding decisions when someone asks. He’s very pleasant, very bright, and easy to follow: “if i do X, I should have Y… Let’s see if that works. Ok, I do have Y, that’s good.” And off he goes to the next step. This Twitch channel deals with the Outlander project. The Outlander project is a modding project, based on Elder Scrolls III: Morrowind. Obviously, London Rook isn’t developing a game from the ground up, but the channel offers you some insight into modding, dungeon design, and level design for a AAA, massive open world game. Before Skyrim, there was Oblivion, before Oblivion there was Morrowind.